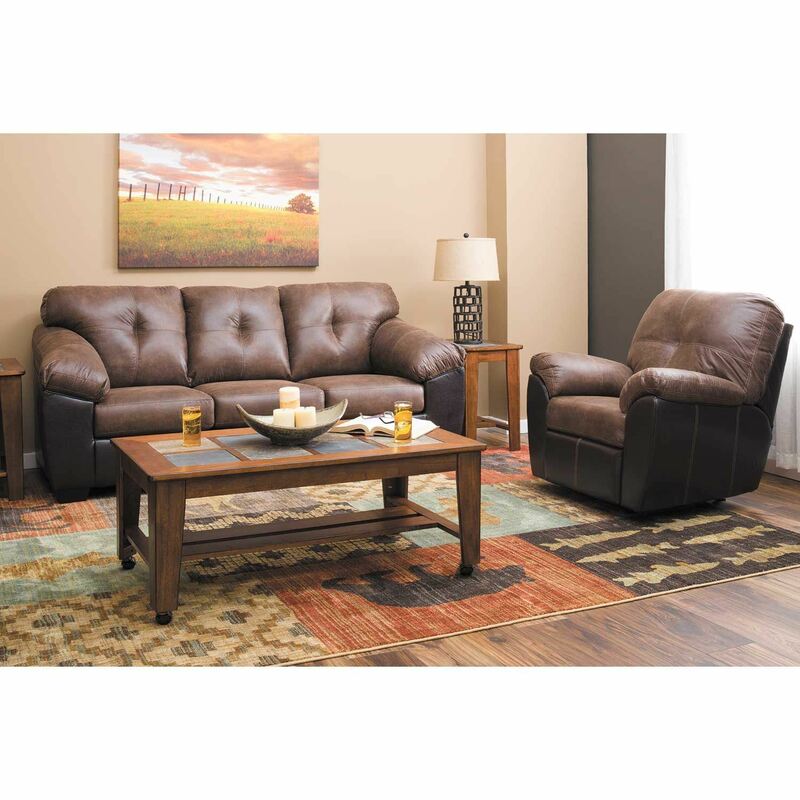 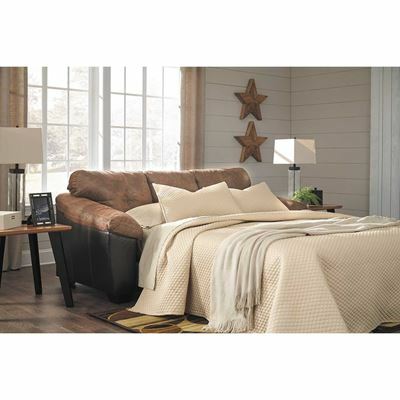 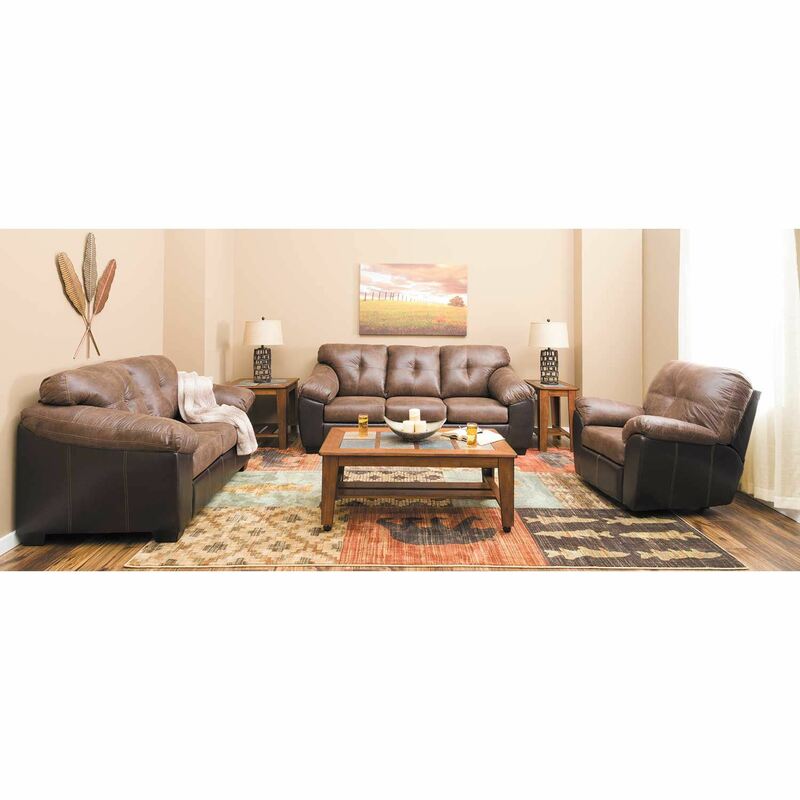 Enjoy both comfort and style with the Gregale Coffee Two-Tone Rocker Recliner by Ashley Furniture. This rocker recliner features a relaxed, contemporary silhouette enhanced by the tufted back, contrast stitching, and pillow top arms. 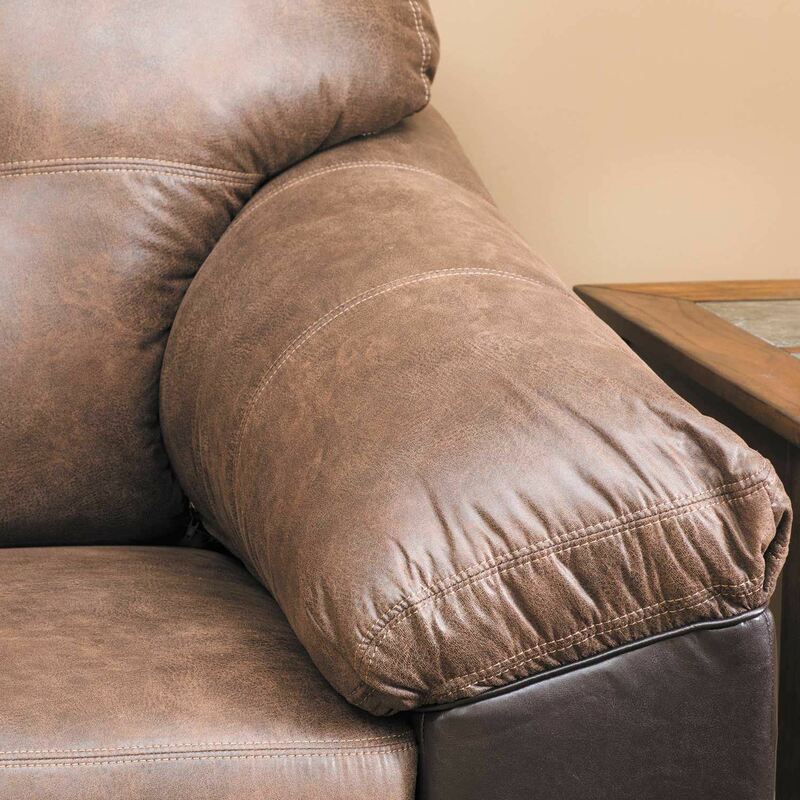 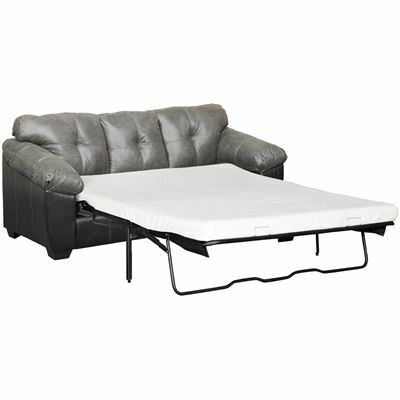 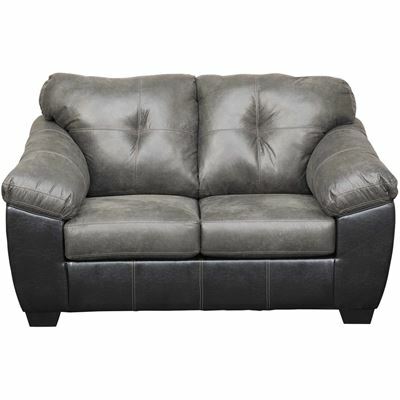 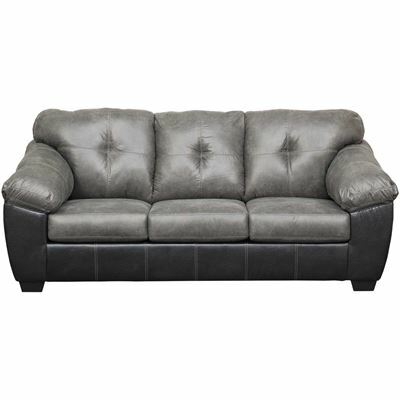 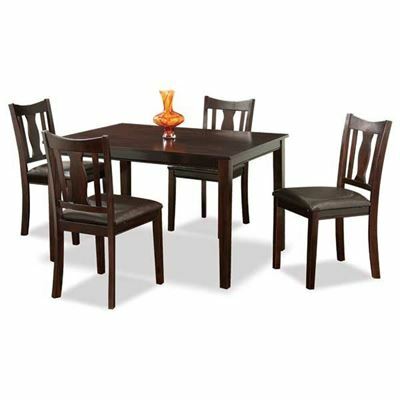 The coffee-colored polyester on the seat, arms, and back pairs with the dark brown Durahide base to create a sophisticated two-tone look, while the soothing rocking motion and relaxing reclining mechanism make this an ideal spot to unwind. Enjoy both comfort and style with the Gregale Coffee Two-Tone Rocker Recliner by Ashley Furniture. 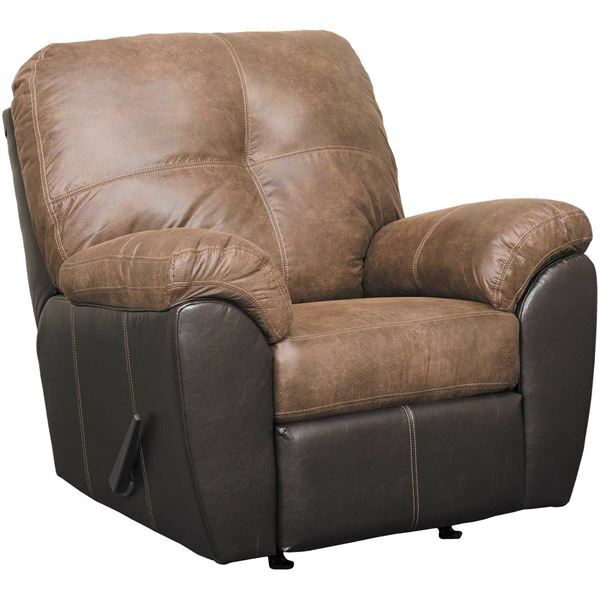 Gregale Coffee Two-Tone Rocker Recliner from Signature Design by Ashley Furniture. 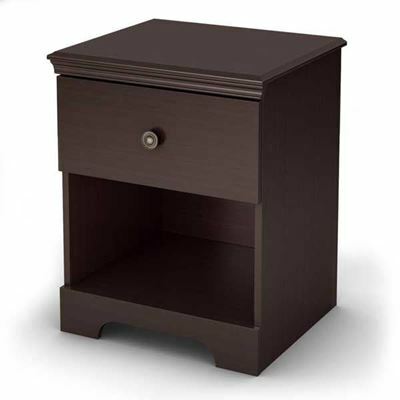 Frame constructed of hardwoods and plywoods.